for $365,000 with 4 bedrooms and 2 full baths, 1 half bath. This 3,207 square foot home was built in 1994 on a lot size of 0.7 Acre(s). Reduced! 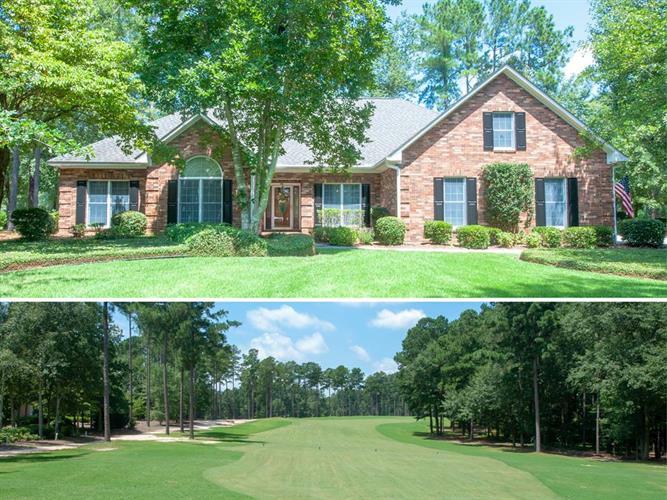 Fabulous all brick on flat lot at end of culdesac w/one of the wider lots on the golf course for great views on approx 8/10th of an acre lot! Awesome 23 x 11 heated & cooled sunrm w/upgraded tile flrs overlooking hole 1! Family rm w/gas fireplace & tray ceiling! Kitchen w/granite counters, tile backsplash, brkfst bar, ceramic tile flr & nice breakfast rm! Living rm w/wood floors! Dining rm w/wood flrs & tray ceiling +den overlooking backyard! Owners suite w/tray ceiling, sitting area, granite dble sink vanity, jetted tub, separate shower, water closet & upgraded ceramic tile floor + walk in closet w/island! Spare bath also w/granite top! 2 spare bedrms 1st flr + upstairs 4th bedrm w/huge walk in attic that could easily be built out! +large rm drywalled could also be made into 3rd full bath! Laundry rm w/ceramic tile flr + closet! Half bath w/granite top & ceramic tile flr! This home has a lot to offer in great location!